NASA and the ESA (European Space Agency) have released the first 8K ultra high-definition video filmed from space. It was captured using the Helium 8K camera by RED, a brand that specializes in Hollywood film cameras used to make renowned titles such as The Hobbit Trilogy, Blade Runner 2049, Guardians of the Galaxy Volume 2, and Stranger Things. “This new footage showcases the story of human spaceflight in more vivid detail than ever before,” declared Dylan Mathis, communications manager for the International Space Station Program at NASA’s Johnson Space Center in Houston, inside a press statement. 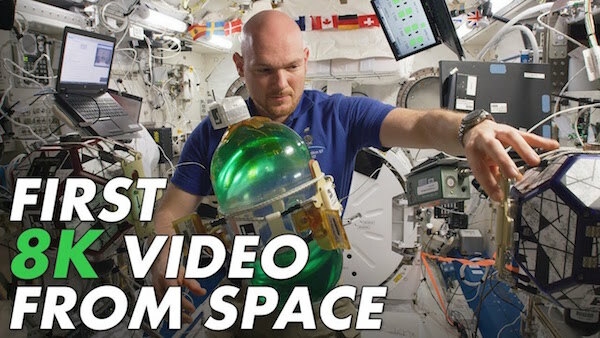 The video, filmed at twice the pixels and four times higher the resolution than 4K cameras, shows astronauts living, working and executing research from the International Space Station. “We’re excited to embrace new technology that improves our ability to engage our audiences in space station research,” added David Brady, assistant program scientist for the International Space Station Program Science Office at Johnson.